Presented by Penny Gore. With the BBC Singers playing Latin American music in concert at St Paul's Church, Knightsbridge, plus the BBC Symphony Orchestra performing Berio and Elgar. 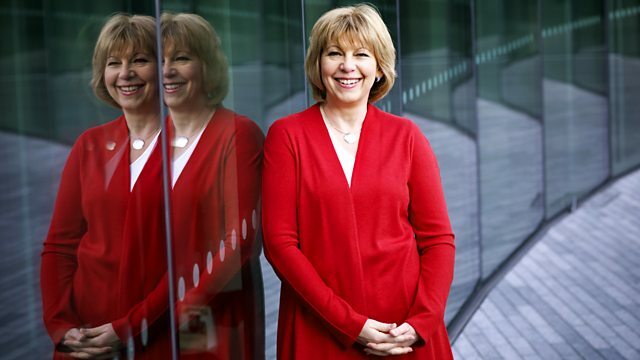 Penny Gore continues a week featuring concerts and recordings by the BBC Singers and BBC Symphony Orchestra. Today's programme includes the second part of a BBC Singers concert of Baroque and Renaissance Latin American music which they gave at St Paul's Knightsbridge in February. The BBC Symphony Orchestra is joined by Synergy Vocals for a new recording of Berio's Mahler-inspired Sinfonia, and the BBC Singers perform Judith Bingham's Missa Brevis. Finally the BBC Symphony Orchestra round off the programme with Elgar's Symphony No.2 conducted by Sakari Oramo. Stephen Johnson explores Elgar's complex, multi-layered Second Symphony. Choir: BBC Singers. Performer: David Hill. Performer: St James' Baroque. Performer: BBC Singers. Performer: David Hill. Orchestra: St James' Baroque. Conductor: David Hill. Choir: BBC Singers. Choir: BBC Singers. Orchestra: St James' Baroque. Conductor: David Hill. Choir: Synergy Vocals. Orchestra: BBC Symphony Orchestra. Conductor: Josep Pons. Choir: BBC Singers. Performer: Stephen Farr. Conductor: Richard Pearce. Music Arranger: Michael Tippett. Choir: BBC Singers. Conductor: Stephen Cleobury.